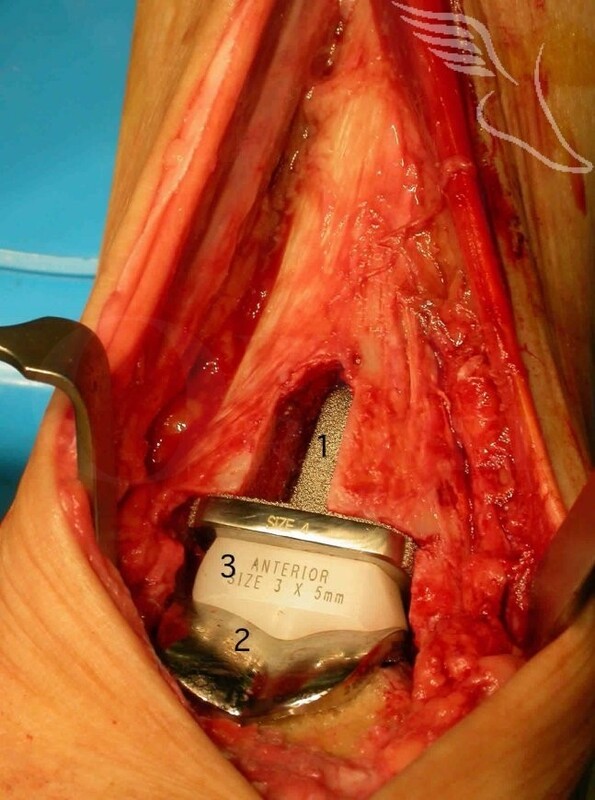 Learn the Ankle Replacement -De Puy Mobility surgical technique with step by step instructions on OrthOracle. Our e-learning platform contains high resolution images and a certified CME of the Ankle Replacement -De Puy Mobility surgical procedure. The “eureka” moment in ankle replacement came with the introduction of 3 component replacements in which the Tibial and Talar components were linked by a UHMW polyethylene meniscus which allowed an element of rotation to occur within the joint itself as well as providing adequate component stability. These initial replacements whose results still define what longevity an ankle replacement should attain are the STAR , Beuchal-Pappas and Salto implants. In general their 10 year survivorships are lower than reported for hip and knee replacements but are still in the mid to high 80 percents. In general terms an ankle replacement will not be recommended for younger and higher demand patients due to concerns of accelerated wear of the implant .